^ a b c Reed, Sam (November 21, 2012). "November 06, 2012 General Election Results". Secretary of State of Washington. Retrieved November 26, 2012. ^ a b Brunner, Jim (November 17, 2012). "State Republicans ponder long-term prospects on blue West Coast". The Seattle Times. Archived from the original on November 18, 2012. Retrieved November 26, 2012. ^ a b c "Meet Kim". Kim Wyman. Archived from the original on October 28, 2012. Retrieved November 26, 2012. ^ "Kim Wyman clear choice for Washington's secretary of state". Walla Walla Union-Bulletin. October 12, 2012. Retrieved November 26, 2012. ^ "Kim Wyman for secretary of state". The Wenatchee World. October 20, 2012. Retrieved November 26, 2012. ^ a b "Kim Wyman best choice for secretary of state". Tri-City Herald. October 3, 2012. Retrieved November 26, 2012. ^ "Editorial: The Times recommends Kim Wyman for Washington's secretary of state". The Seattle Times. October 7, 2012. Retrieved November 26, 2012. ^ "WEA-PAC recommends Kim Wyman for election as Secretary of State". Washington Education Association. Retrieved November 26, 2012. ^ "Washington Secretary of State Results: Kim Wyman Wins". The New York Times. November 29, 2016. Archived from the original on December 1, 2016. Retrieved December 1, 2016. 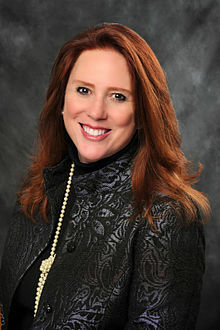 ^ "Secretary of State Kim Wyman to be treated for colon cancer". The Seattle Times. March 27, 2017. Retrieved March 29, 2017.